Portfolio website vs. portfolio book: which is preferred now? Today we’re going to talk about all the different options that you have for presenting your art portfolio, about opportunities and choices. I hope that this post will help you choose the best format for you. Before we initiate the debate, let’s start with the portfolio definition. a range of securities, held by an investor or organization. As you probably have guessed from the title, we’re not going to talk about business investments. Today’s post is about the different portfolio formats in which artists, students, and models can present their work online. Options are good, don’t get me wrong, but they’re often accompanied by confusion and indecision. Which is why we’re going to discuss each and every one of them to try to come to a conclusion regarding which is the preferred solution. No doubt about it, there’s something special about the paper format. At the beginning of the 90s, a british researcher published a study, Reading from paper versus screens. He reviewed multiple studies and came to the conclusion that reading from screens caused comprehension to be 20-30% less effective than reading from paper. The percentage has been disputed by other scientists later on, but they didn’t contradict the conclusion that the paper contributed to better comprehension. Other studies proved that when the information is printed it’s more memorable than when it’s read from a screen. I was surprised to find out that the medium is so important and that it has such impact on how much info is remembered. But what does it have to do with portfolios? Well, the same principle applies. I expect them to win in the memorability department when you compare them with digital ones. But I also expect a paper portfolio to be more impactful in a visual sense, and in how paper feels and how it’s manipulated. Touching the paper and feeling the page texture makes the interaction feel more natural and memorable. You certainly want that when you want to impress a client. Many artists work on paper first, then they digitalize their work (art, paintings, illustrations), so for them, it would be foolish not to organize their best work in a portfolio. With photography portfolios, it’s a bit different. You can’t say that photography originally comes into existence as a digital file, because of film photography, which existed long before digital cameras. In any case, the best photographers still rely heavily on print. They organize expositions with printed pictures because it’s more impactful than digital files. So if you are a model, I’d recommend you to have a printed modeling portfolio as well as a digital one. So far we’ve established how great paper portfolios are, but let’s mention the drawbacks as well, just to be fair. – They are not that convenient to carry and walk around town to show them to people. 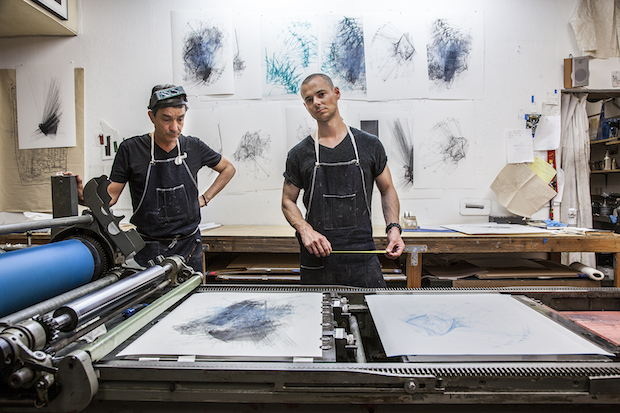 – If your work is primarily digital, you’ll have to take several trips to print shops. It’s not a big deal, but sometimes these tiny details make you give up on a project. – The biggest disadvantage is that it’s probably not going to be seen by so many people. As a conclusion, paper portfolios are a thing of beauty. You should be proud to have one, even though you might not use it as much as the digital one. A portfolio website is a special type of personal website, created with the purpose of presenting the creative work of its owner. Nowadays all respectable artists, photographers, and models are expected to have a website where they showcase their projects, so having one is kind of a must. Photography portfolio websites typically have gorgeous galleries, an about page and a contact page. That’s really all you need. One of the great things about portfolio websites is that you have a lot of flexibility in how you choose to display your best work and make it shine. You can have a collection of detailed pictures for each project, or you can have a gallery with a single image for each project. 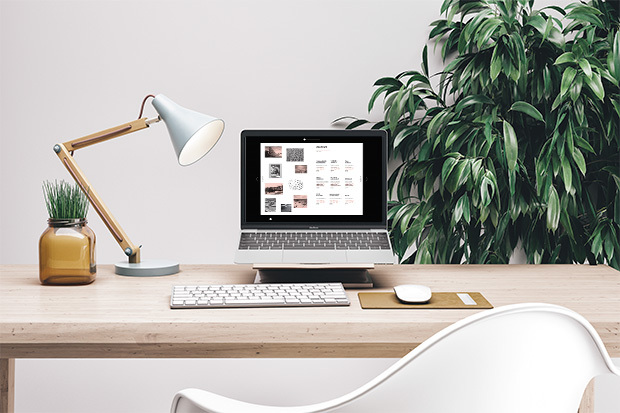 You have endless ways to arrange and display your online portfolio, with no restrictions. Nowadays websites are very easy to make, and you don’t even have to hire a designer and a programmer to build you a website. You can choose an online website builder and take care of everything yourself. Most website builders have a lot of templates that you can choose from. 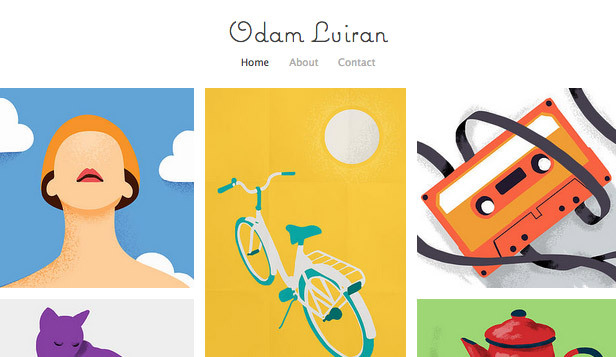 Some of the best builders for portfolio websites are Squarespace, Carbonmade and Wix. Of course, there are many other website creators online, but (sorry) I can’t recommend what I haven’t yet tested. Playing with a website can be a lot of fun, if you happen to like working with design tools, and it can be extremely rewarding as well. The second major benefit of having a website portfolio is that it’s always with you. It even fits in your pocket, if your pocket is big enough to carry a smartphone. So whenever you want to show your work to someone you can take your phone out, or better yet, you can share the link. This is why your website will help you reach a large audience online. It will probably be viewed by people from many countries, from places you haven’t been to yet. This is great for bragging rights, but it can also be an effective way to impress an employer and land a job. – The format looks a little less like a traditional portfolio, and it’s a little less impactful compared to a paper one. – Even though most web builders are easy to use, there’s still a little bit of a learning curve, and if you want to promote it online need to start learning about SEO and online marketing techniques (here are some for photographers). At the end of the day the outweighs the bad, so my advice is to create a website. A third option is to showcase your work on a popular public platform for your niche. Graphic designers and artists have Behance, photographers can upload their work on sites like 500px, and fashion models can regularly post on platforms like Instagram, Chictopia or Lookbook. The biggest advantage that you have by being on one of these platforms is that you are part of a community. You’ll be inspired by other people and you’ll inspire others. It’s also a great way to get your work discovered. Let’s discuss each platform category one by one. Behance is a very large community of visual artists, mainly graphic designers, illustrators, painters and so on. Many users update their profiles regularly with projects they finished because the platform generates a lot of views and a lot of engagement for them. It’s possible to get more views on a project on Behance than on your own site, because Behance comes with a community, while your site does not. There are lots of websites where photographers can post their best work. Many chose 500px, but there are many other platforms where you can choose to build an online portfolio. Stock photography websites can be an option. If you’d like to sell your photos you can make an account on Shutterstock or iStock and upload your best shots. Then there are the free stock photo sites, like Unsplash and Pixabay, which can be a place where you build a follower base, but you have to know that it also requires you to waive your ownership rights. The point is, you have options. Aspiring fashion models have these platforms where fashionistas, models and other beautiful people show off their style. In the fashion world, social media plays a huge role. Some models were discovered on Instagram. The internet has influenced the way the fashion world works and created the so-called “social media models”. So online platforms can boost your career, and they can act as a sort of a modeling portfolio for you. The secret to success on all online platforms is a combination of inspired work, connecting with the right influencers and a smart posting strategy. You have to build an audience that follows your profile, which requires consistent posting and engagement with others. You have to follow people, comment on their projects, like their work and so on. The downside with these platforms is that you don’t have full control over your content like you have with your own site. It’s like keeping your eggs in someone else’s basket. You never know what’s going to happen with these platforms in a few years. It’s just not great to depend on others. This is why you should have your own website on the side, and take care of it. Update it and nurture it, but don’t forget about the opportunities that lie within portfolio platforms. A digital portfolio book is an online publication that looks exactly like a printed one, but it’s in digital format. They’re also called flipbooks because of the page-flip effect. Some portfolio builders even have a page flip sound that can be turned on or off. 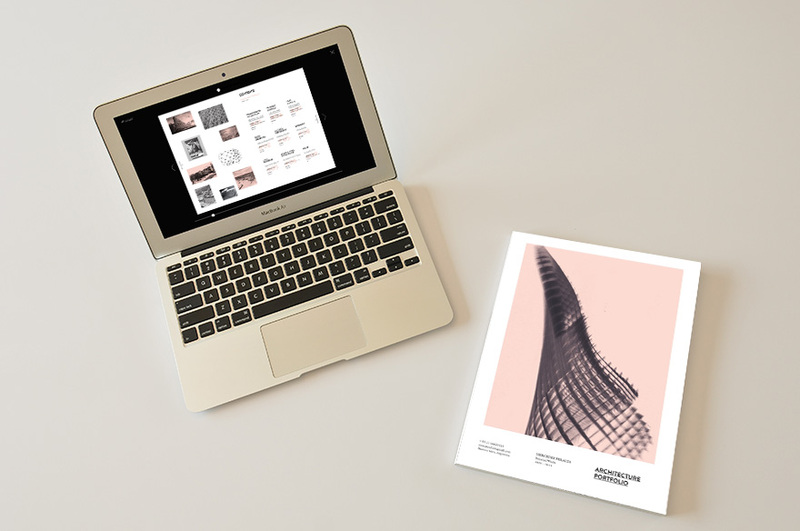 Online portfolio books are fantastic because they look so much like printed magazines, so when people interact with them online have a real feel experience. And that’s a great experience for any reader, from anywhere. The editorial design can add a certain something something to your photos and make them shine. The book format gives your work the presentation it deserves. It’ll make your projects look more polished and professional, which will certainly impress the viewer. 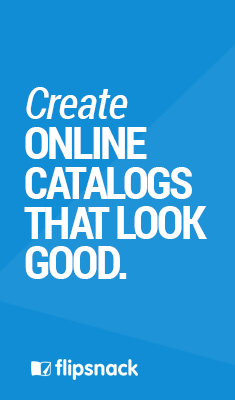 But the digital portfolio book doesn’t just win in the style department. It’s very easy to make, and it can pack a lot of different types of content, including audio, video, links, interactive captions, tags and more. One of the easiest way to make a portfolio book style is with Flipsnack. You can upload a ready-made PDF with your work and then add some enhancements, or you can make the entire digital magazine with the tool. There are some page templates integrated in the online editor and you can use them to create something unique. The end result is an impressive looking portfolio that you can easily share with anyone, via email, chat groups or social media. However, the photo portfolio book is just an extra step that you can take to make your work shine. It’s definitely not enough, you will still need your website. So what is the final conclusion? Which format and which tool is the best for your creative art portfolio? The truth is that in an increasingly connected world, with so many options and opportunities, it would be ideal to have your own site, to be active on other platforms and to have an impressive photo portfolio book as well. The winner, in my book, is a website portfolio. However, if you are pressed for time and if you need a digital portfolio quick, one that look professional, you should give Flipsnack a try!